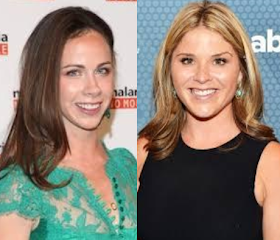 Barbara Bush and Jenna Bush Hager, the fraternal twin daughters of past US President George Bush, have written a touching and insightful letter to the daughters of outgoing President Barack Obama; Sasha and Malia. Barbara and Jenna first played big sister to the Obama girls, showing them the way around the White House on their first day there and now they are doing it again, this time to show them the way around life outside the White House. In the letter, Barbara who is now the co-founder and CEO of a global health company and Jenna who is a correspondent for the Today show reminisced on how they received the Obama daughters into the White House, how the girls have handled their stay there for the past eight years and also pointers on how to go about life now that they are about to leave. Barbara and Jenna first became inhabitants of the White House at 8-years-old when their grandfather became president and then again at age 20 at the time of their father. The sisters have lived in the White House for three terms (12 years), so they have quite the experience about life in and out of the White House.